The average time that it takes for a loan to close for real estate is 42 days, having dropped in February from 47. This amount of time is now at the lowest it has been since 2011, which is when Ellie Mae began to track data. The supply of eligible houses in the United States is still less than the demand, causing buyers to be forced to compete viciously for the best houses. Being able to have a loan approved quickly gives many customers an advantage. Why the Drop in Time? There are a few different factors that must be considered when attempting to determine why the amount of time that it usually takes for a housing loan to be approved has dropped. The first is because of the extremely cold weather as of late. This caused many people to be inclined to stay in their homes, rater than search for houses, decreasing the number of monthly loan applications. This allowed the loan applications that were still being filed to be able to be processed more quickly. A second reason is because mortgage rates stayed the same, meaning that the number of people who wanted to refinance loans dropped significantly as well. Despite the fact that loans are being processed more and more efficiently, the main reason why the time for a loan to close dropped is because of decreased demand. How Do I Get Mortgage Approved Quickly? 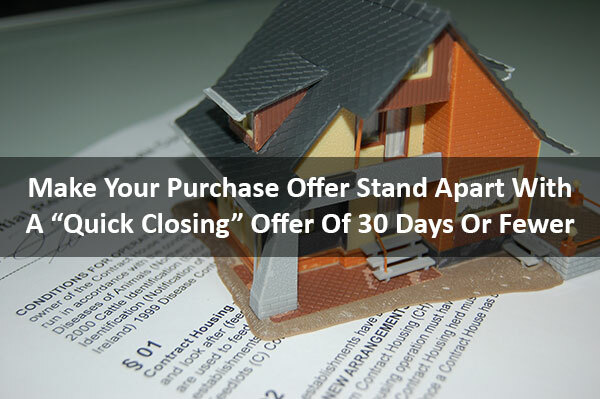 Most of the reasons for why a loan may have a delayed close is beyond the control of the person attempting to purchase the house. Despite this fact, there are a few different methods that can be employed in order to get a loan approved as soon as possible. Although each lender might require different types of paperwork for verification, there are a few forms that seem to show up again and again. These forms include W-2 statements that prove employment, bank statements that prove that there are savings that can be used in case a person is unprepared to make a mortgage payment. Having the last two pay stubs, bank statements, and two years worth of tax returns will allow the paperwork part of the loan approval process to go smoothly. A copy of the potential homeowner’s driver’s license, along with any Social Security numbers of those whose hames will be on the lease will also save a great deal of time. There are two main reasons why it is advantageous to be completely upfront and honest with a lender. The first is that not disclosing any information when applying for a loan is considered to be a fraud and is punishable by a charge of loan fraud, which will make it nearly impossible to obtain a loan in the future. The second reason is that there is a very high chance that any information that is not shared will be discovered, regardless of the person applying for the loan’s wishes. There is nothing to gain by hiding anything on an application for a loan. Also, the more information that is shared with a lender, the more likely it is that he or she will be able to develop a workable plan for a person’s financial situation. Morgage pre-approvals are when a person proves that he or she is a good candidate for a loan before even applying for it. If a lender agrees after being presented with the necessary evidence (such as bank statements and paystubs), then he or she will write a letter saying so. This letter will shave off a great deal of time and ensure that a loan is approved as quickly as possible. The lender that is used for the pre-approval does not have to be lender that is used to close the final loan. When the lender that is going to be used is presented with the letter declaring that a person has a sound financial situation, then the overall process will be reduced by the time that would ordinarily be taken to go over that same information. The main lesson that should be gained by this post is that the first step to closing in less than thirty days is to be prepared. Have all of the documents necessary and get pre-approved, if at all possible. This will ensure that much of the loan process is bypassed ahead of time and allow a loan to be closed without delay.